An experienced architect who has prominently designed large-scale infrastructure throughout Florida, James Hanis earned a master of arts in architecture from the University of Florida and began his career with URS in 1992. After three years with the company, James Hanis began working with Sverdrup CRSS, where he led design efforts for the 22-acre Jurassic Park-themed attraction at Universal Studios Islands of Adventure, a large retail development, and the Give Kids the World movie theater, among other projects. 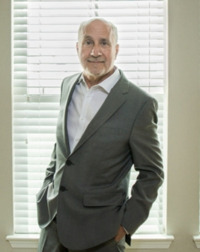 Upon leaving the firm in 1998, James Hanis was hired as vice president of 3-D International, for which he served as program manager for Orange County Public Schools' Immediate Needs & Portable Reduction Program. He later worked with the Orange County Capital Projects Division and, in 2005, joined the City of Daytona Beach's Public Works Department. Throughout 10 years in this position, Mr. Hanis served as mediator and advisor for project regulation compliance of site planning, building design, and land-use and provided guidance to civic authorities. Mr. Hanis presently serves as a design manager with Walt Disney Imagineering.